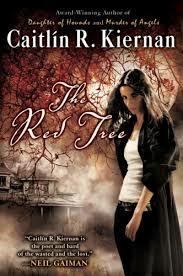 If ever there is a novel to ignore the cover, one would most certainly be Caitlin R. Kiernan’s 2009 The Red Tree. What’s depicted seeming to indicate the novel is a faceless drop in the contemporary fount of YA slush, in fact, it is anything but. A mature offering without the teen angst portrayed on the cover, Kiernan takes her novel to the next level by bringing to bear writing chops she had primarily been known for in short fiction into her long fiction, telling a very personal, human story in the process. Any homage to horror or Weird, or acts of poignant catharsis, are just icing on the cake. Sarah Crowe has moved to Rhode Island in an attempt to escape a disastrous relationship and kick start a long overdue novel. Renting an apartment in an old, creaky farmhouse, Crowe has trouble settling in from the beginning. The shadows in the basement are dark, and something in the air doesn’t feel right. Making matters worse is Crowe’s discovery of an unpublished manuscript amidst the farmhouse’s clutter describing the history of a seemingly malevolent tree on the property. A massive red oak, the author of the manuscript, in fact, eventually hung himself from it. But pushing things over the top is that an artist takes up residence in the farmhouse’s attic. The new novel may never get written given the circumstances, so best to pick up pen and paper and write down one’s thoughts and experiences, as strange as they are around the red tree. The Red Tree feels strongly, strongly autobiographical. There are simply too many coincidences to ignore between the protagonist and Kiernan’s lives. The benefit of this approach is that Kiernan knows the material inside and out, allowing her to exercise her writing chops. Less a standard tale with intro, body, climax, and conclusion, rather more an introspective work where the flow of experiences feed into the mindstate of the main character heightening the surrounding tension, The Red Tree is far from standard horror. Many of the “reviews” I read of The Red Tree proclaim a dislike for how Sarah is portrayed (followed by blanket denunciation of the entire book, natch). I found the opposite. Certainly a bitter, argumentative, difficult person (not the Disney likeable character that that narrow-minded portion of “reviewers” seem in constant search of), Sarah is a troubled person, who, if the frame story is taken at face value, eventually kills herself. For readers able to look beyond the need for fluffy and warm, Kiernan is brutally honest through Crowe, no punches pulled, and tells a more human, realistic story for it. Another way of putting this is, characterization is an advantage not a disadvantage of the novel. In the end, The Red Tree is a quality bit of fiction that strays far from the mainstream of horror which it will inevitably be associated with. Kiernan seeming to want to address not only the history of horror (there are many references to writers of old), but perhaps moreso personal demons plaguing her own writer’s block, the book is a turmoil of personal reflection which likely addresses Kiernan’s actual situation at the time of writing. Another way of putting this is, ignore the cover. Worthwhile material lurks behind—“lurks” the operative word. I am a fan of Kieran's work, all her writing seems to have a strong horror element. But I really like her more SF tinged works like Dry Salvages or Riding the White Bull or many of her HPL inspired stories "Black Ships Seen South of Heaven" was a particular favourite. So while I would not normally read a horror novel like this, and your quite correct the cover really kills interest as well, I was quite intrigued by your discussion and added The Red Tree to my cart which already contained a preorder for her Agents of Dreamland. Thanks for the recommendation, Guy. I haven't really read much of Kiernan's science fiction. I haven't read much HPL, but based on what I know, I think you'll enjoy The Red Tree as Kiernan seems to have invested a lot of her interest in the man's fiction into the novel, not to mention HPL's contemporaries.